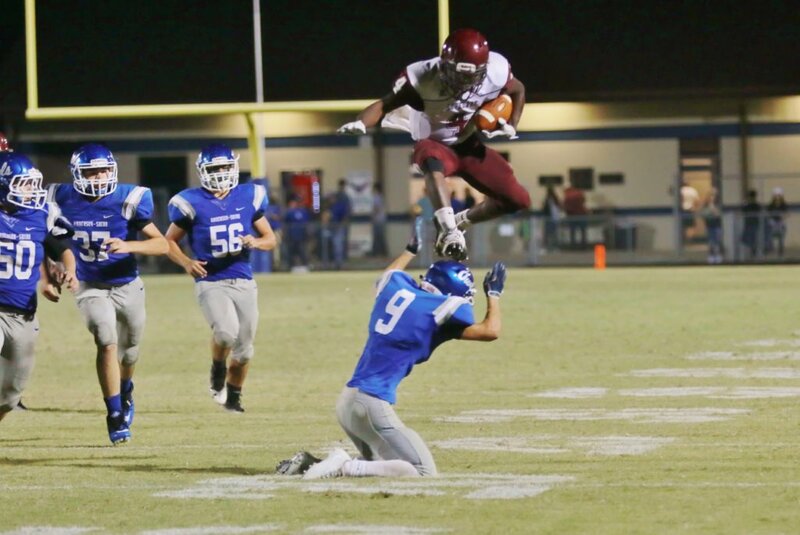 ANDERSON – The Lovelady Lions were coming off a heartbreaking loss to the Grapeland Sandies when they traveled to Anderson last Friday night to tangle with the Anderson-Shiro Owls. The Lions were in a foul mood after the previous week and took out their aggression on the Owls as they hammered the home team by a final score of 36-8. The Owls opened the game with possession of the ball but quickly turned it over as the Lions intercepted in the first minute of action. Lovelady started at their own 39 and moved methodically down the field. The Lions drew first blood at the 8:05 mark when Tim Johnson broke free on a 25 yard TD run. The two point conversion was good and gave Lovelady an early 8-0 lead. On the ensuing possession, the Lions forced Anderson- Shiro into a punting situation and Lovelady took over at their own 11 yard line. A fumble by the Lions gave the ball right back to the Owls and at the 3:15 mark of the first quarter, Anderson-Shiro’s Darius Bookman barreled across the goal line for a score. The two point conversion was good and the Owls and Lions were tied at eight. The tie didn’t last long, however. The Owls were flagged for offsides on the kickoff and when they re-kicked, Lovelady’s Michael Price fielded the ball at his own 30 and was off to the races. Price ran 70 yards – untouched – for a TD and just like that the Lions were back in front. The try for two was good and Lovelady now led 16-8. The Lions seemed to be their own worst enemy in the early going as penalties and turnovers wiped big gains, along with scoring opportunities. With time running down in the first half, however, Lovelady scored a late TD on a pass from Colt Robinson to give the Lions a 22-8 lead at halftime. As the second half got underway, the two teams exchanged punts to open the third quarter. On Lovelady’s second possession of the half, however, Colt Robinson found Jay Thomas Robinson for a 12 yard TD pass to push the lead to 28-8. The Lions added a late TD and held off the Owls to secure the 36-8 win. Lovelady will travel to Joaquin this Friday to take on the Rams. Kickoff is scheduled for 7:30 p.m.